Tribe, I’m honored to present to you the collaboration between the Yogi Misfit Sessions and Fierce Calm. Each month, we’ll bring you a compelling story about how yoga has saved a life, with bonus mini stories on yoga’s ability to heal and transform. 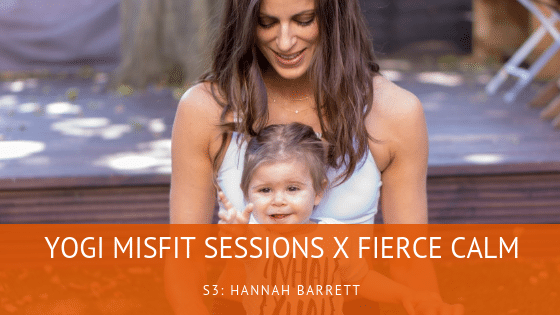 This session, I got to chat with Yoga Girl London, Hannah Barrett. We talk about how yoga entered her life, how it helped her during her pregnancies, especially after the birth of her second child. Her daughter Emily was born premature and the pregnancy leading up to her birth was very concerning. With this experience, Hannah now advocates for awareness on PTSD and post-natal depression and wrote an e-book called Strength Through Yoga sharing knowledge from what she underwent. My friends at Fierce Calm are a growing collective of yoga practitioners from all backgrounds and abilities who have each identified with the words ‘Yoga Saved My Life’ and come together as a movement to inspire & empower each other without judgment and with compassion. This is something that I think we can all stand behind. Stay tuned at the end for two mini stories from Icar and Adam, too.